The debilitating effect of dementia on lifestyle is well-documented, not least relating to the ability and confidence of those with the condition to make their way around. Last year, dementia supporters in Scotland successfully lobbied for people with dementia to use an innovative GPS-based device which helps families, carers and rescue services know where they are. Not only has this proved reassuring for those close to someone with dementia, but it has also allowed those with dementia a new level of freedom and safety. The initiative first met with resistance on the grounds of human rights – a miscomprehension between a GPS device as a ‘tracker’ and as the catalyst for safe roaming – but successful lobbying has led to its adoption in Scotland. Now, campaigners in England are seeking similar permission for those with dementia to use the GPS device. The GPS device was developed for those affected by dementia by listening to and working with potential users, their families and carers, health professionals, NHS Telecare monitoring teams and the police and emergency services. It was allowed in Scotland in August last year and since then has transformed lives. One person with dementia who was too scared to go out on his own now has the confidence to do so; another did not understand the anxiety caused to his wife of not knowing where he was for long stretches of time, but the GPS system has not only safeguarded his freedom to roam but also provided reassurance for his wife. The campaign in England is focused on the NHS in Devon, Plymouth University, Plymouth City Council, Plymouth Dementia Action Alliance and agencies such as Dartmoor Search and Rescue Team Plymouth, with legal support from Nash & Co. It is led by Ian Sherriff, Academic Partnership Lead for Dementia at Plymouth University and Chair of the Prime Minister’s Rural Dementia-Friendly Task and Finish Group. 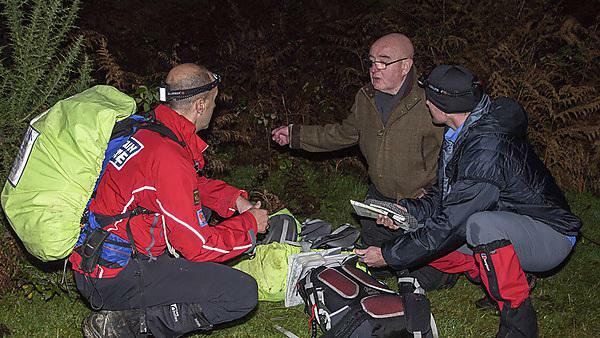 The GPS device was recently trialled on Dartmoor.